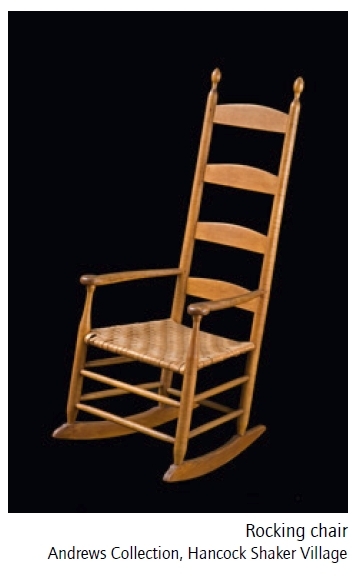 Shaker craftsmen produced simple but durable designs in architecture, furniture, and crafts. 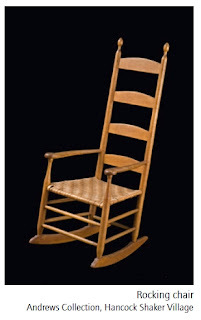 Collectors Faith and Edward Deming Andrews spent nearly 40 years (1920s-1960s) gathering a range of objects from Shaker communities in Connecticut, Massachusetts, New Hampshire, and New York. Through their efforts, they created one of the most comprehensive collections of Shaker materials ever assembled. Objects from this collection will be on view in “Gather up the Fragments: The Andrews Shaker Collection” at St. John’s College’s Mitchell Gallery in Annapolis, Maryland from March 2 to April 19. 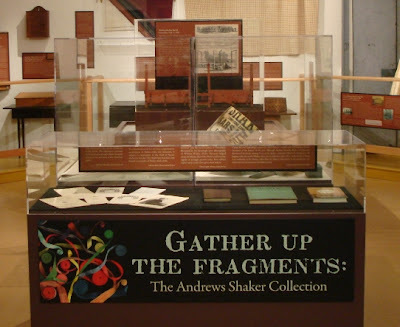 The exhibit comes from Hancock Shaker Village, a museum in Pittsfield, Massachusetts, and the same city where Faith and Edward Deming Andrews lived and collected Shaker objects from the 1920s to the 1960s. This exhibition showcases furniture and art traditionally associated with the Shakers, as well as the small objects, manuscripts, and tools that formed the warp and weft of their daily lives. While it does not include a large number of Shaker baskets, anyone interested in the Shaker experience will find much to learn from. 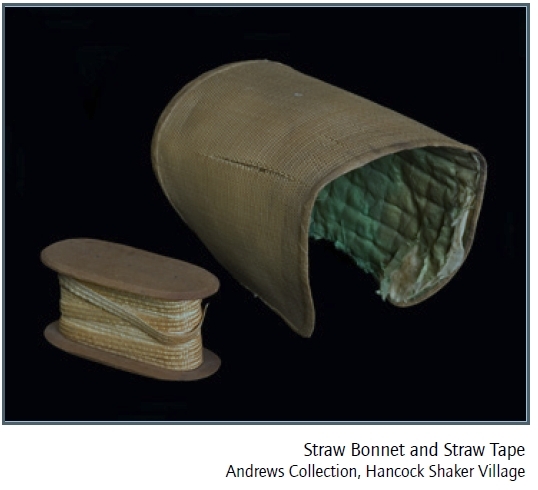 As part of the opening reception, Art Educator Lucinda Edinberg will lead a tour of the “Andrews Shaker Collection” exhibition followed by a hands-on workshop. Families are welcome to the opening reception, which will be held on March 4 from 3:30 to 5 p.m. Many people are familiar with Shaker-style furniture and the Shaker philosophy of “form follows function,” but few are aware of the extent of their craftsmanship and the effect that their religious principles had on the making and use of their everyday objects. In the collecting process and in their research, Faith and Edward Deming Andrews shed light on one of America’s best recognized but least understood communities and made the Shaker way of life more accessible to scholars, collectors, and the general public. This exhibition is organized by Hancock Shaker Village, Pittsfield, Massachusetts, and toured by International Arts & Artists, Washington, D.C. A full color print catalog is available Gather Up the Fragments: The Andrews Shaker Collection . March 4 Opening Reception and Family Program. Art Educator Lucinda Edinberg will lead a tour of the “Andrews Shaker Collection” exhibition followed by a hands-on workshop from 3:30 to 5 p.m.
March 8 Lecture. Exhibition Curator Christian Goodwillie will discuss the “Andrews Shaker Collection” exhibition at 7:30 p.m.
March 21 Seminar. St. John’s Tutor David Townsend and Artist Ebby Malgrem will lead an exhibition-related seminar at 7 p.m. Space is limited. Registration is required. Call 410-626-2556 to register. March 25 Sunday Afternoon Tour. Art Educator Lucinda Edinberg will lead a tour of “Andrews Shaker Collection” followed by a hands-on workshop from 3:30 to 5 p.m.
March 29 Book Club. Join members of the Mitchell Gallery Book Club for a docent tour of “Andrews Shaker Collection,” followed by a discussion of the book “The Great Divorce: A Nineteenth-Century Mother’s Extraordinary Fight Against Her Husband, The Shakers, and Her Times,” from 2:30 to 4:30 p.m. St. John’s tutor David Townsend will lead the discussion. Registration is required. Contact Kathy Dulisse at 410-626-2530 or kathy.dulisse@sjca.edu. April 4 Art Express. Art Educator Lucinda Edinberg will give a lunchtime gallery talk on the “Andrews Shaker Collection” exhibition from 12:15 to 12:45 p.m.
Visit BasketMakers.com for much more about &amp;amp;amp;lt;a target="_blank" href="http://basketmakers.com/topics/bymaterial/blackash/blashmenu.htm"&amp;amp;amp;gt;Black ash basketry&amp;amp;amp;lt;/a&amp;amp;amp;gt;, including Shaker basketry.